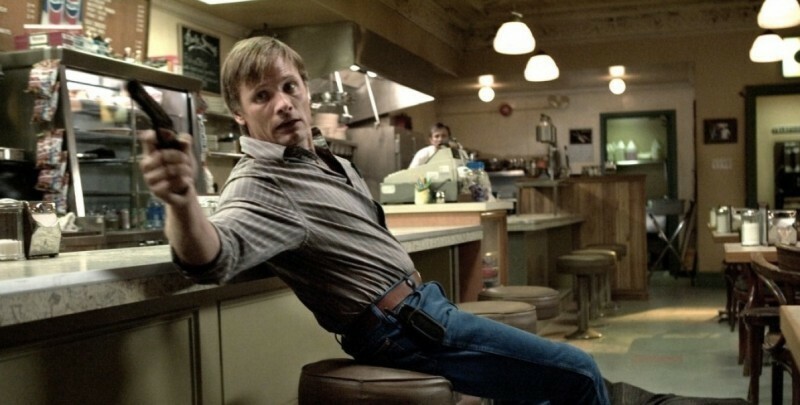 Truthdig caught my attention with a shot of Viggo Mortensen in A History of Violence. They were referring to Wendy Cohen’s post on the TakePart blog. She goes on to list A History of Violence, in which “a mild-mannered man becomes a local hero through an act of violence, which sets off repercussions that will shake his family to its very core,” and nine other films to illustrate the point: using a gun to solve a problem may just create more problems than it solves.